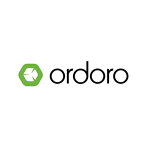 Ordoro is a multichannel inventory management software designed for e-commerce businesses. Its features include order management, batch printing, business analytics, reporting, shipping and dropshipping, and more. In this article, we cover user reviews and pricing. Ready to try Ordoro? Get a free trial. Users who gave Ordoro a positive review said that it can be customized to adapt to their unique production flow. Others also commended their customer support team’s quick response time. Users who gave Ordoro a negative review complained that the platform requires too many clicks in order to process shipping. Some reported that it lacks essential integrations to streamline their workflow. Ordoro has three pricing plans: Express ($59/month), Pro (starting at $299/month) and Enterprise (custom priced). Express offers basic shipping essentials, while Pro provides both shipping and inventory management. The Enterprise option is for high-volume orders. The main difference between the plans is access to advanced features such as inventory allocation, supplier management, and more. Ready to try Ordoro? Get a free trial. How does Ordoro help sellers find the best shipping rates? Ordoro lets users compare shipping costs in one platform. It pulls negotiated rates from UPS or FedEx and displays them in the Ordoro user accounts. How can Ordoro keep inventory in sync across multiple sales channels? Ordoro is a central hub that unifies all channels into a single platform — from marketplaces, to online stores, to suppliers. Whenever orders are fulfilled or products are restocked, the software automatically syncs the inventories across all channels to prevent overselling and running out of stocks. Not sure if Ordoro is the right fit for you? Read our reviews of all top inventory management software or check out one of these three Ordoro competitors. Handles multiple channels- amazon, shopify, etsy, etc. It’s not customized for you but you can still get alot out of it! Great product. Ordoro has some of the best customer service around. It is rare that we ever have to call with an issue. The program just works, but when we have questions or need assistance they answer almost immediately. They also send out advance notices of any issues or server maintenance and they always make sure to schedule that work during non peak business hours. The only complaint we have had to date is that they do not fully integrate directly with our POS software, but they have been great in helping us to seek alternative solutions and provide work arounds as needed. They do a great job of consolidating all of our shipments. Super clean UI, discount rates, international shipments, print labels to thermal printer etc. Great customer service. They also have a decent API. Life is so much easier with Ordoro. Their API could use some better documentation. Nothing, they do exactly what we needed.